The Ascari Team is very pleased to announce that we are offering Ascari to the charter market again this season and have some great availability throughout 2017. 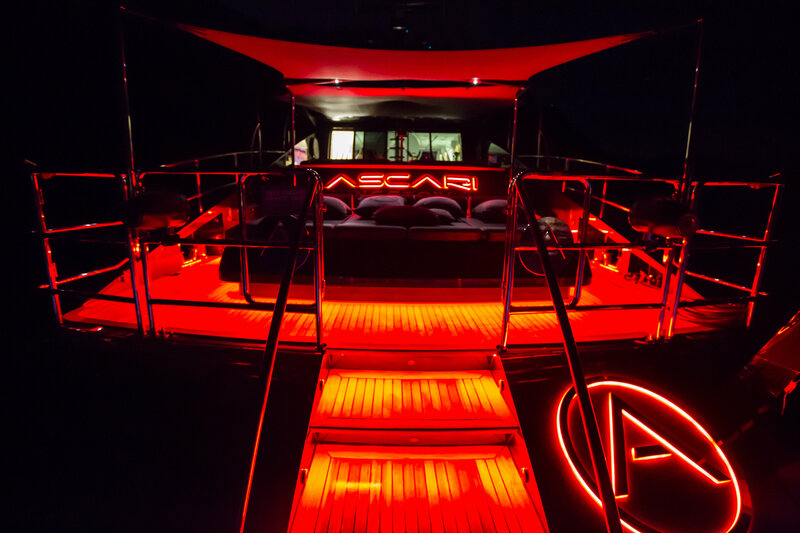 'NEW' for 2017 is a custom made inflatable aft bathing dock which extends the water sports offering and also extends all our guests enjoyment of the water and toys that Ascari has to offer. Please visit www.myascari.com for more information and details on the yacht. Charter season: Summer west Med and Spain. Following an extensive refit in 2015/16, ASCARI is offered in pristine condition and ready for the 2017 charter season. She is based in the Mediterranean and mainly Ibiza year round and is the ideal yacht for cruising this lively area in style. With a maximum cruising speed of 22 knots enabling fast passages and she comes with an optional chase boat to maximise adventure on the water and access crystal clear bays or exclusive docks and beach clubs. 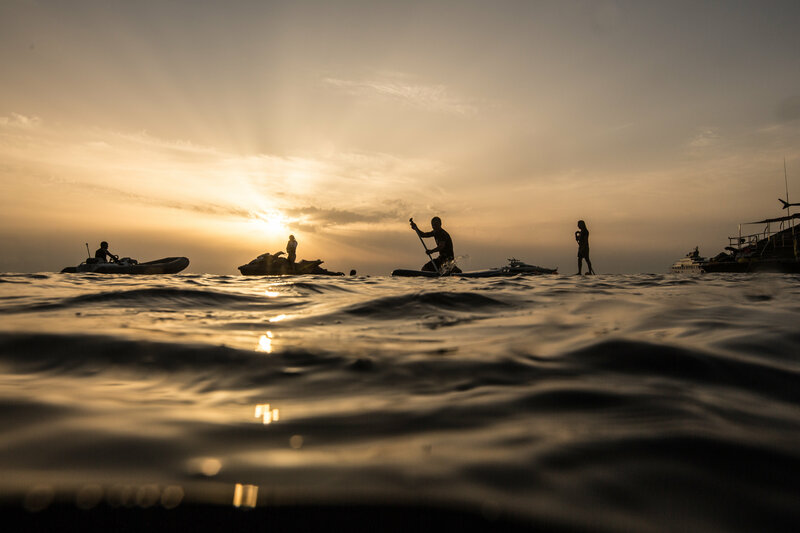 ASCARI’s fun, family-friendly and highly experienced crew of 5 includes a Balearic experienced Captain with several thousand miles of at-sea experience and several other very professional crew. 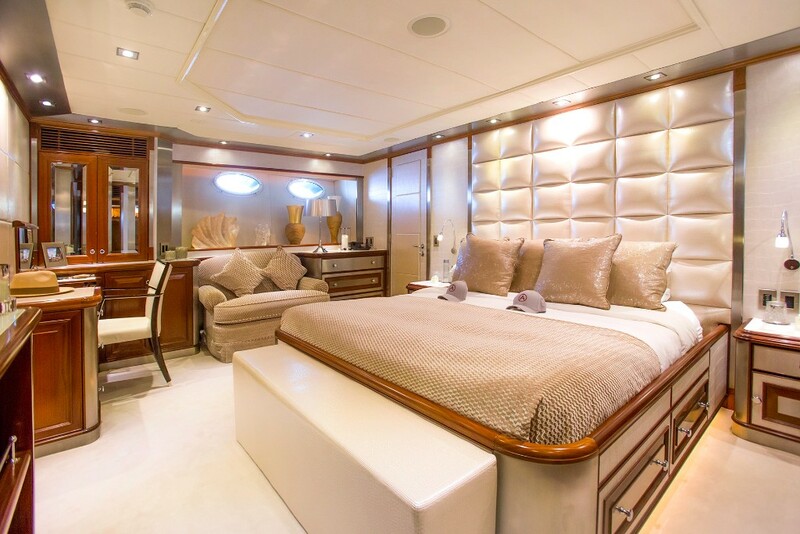 ASCARI accommodates 8/10 guests in 4 newly-refitted cabins and light, stylishly finished living spaces. 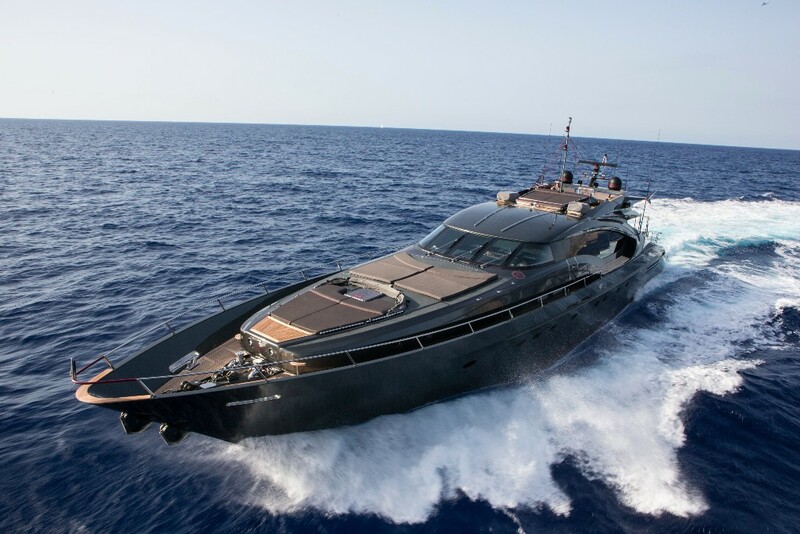 Deck spaces on her sleek and sporty exterior include 3 separate sun pads and an aft deck terrace for intimate dining. She is equipped with an exciting selection of the latest water toys including a Williams Jet RIB tender, Seadoo configured for fly boots and fly board, stand-up jetski, Sea bob and inflatable dock. 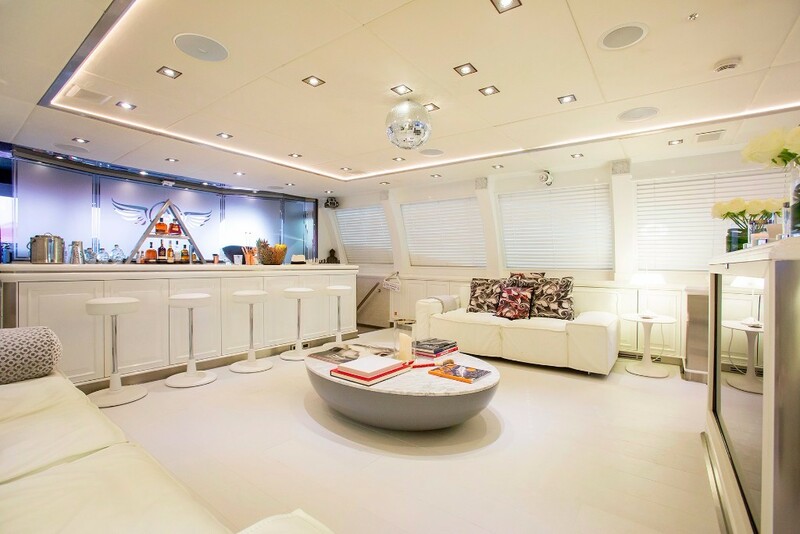 Guests can enjoy parties onboard with lasers, disco ball and state of the art sound system and she is equally suited to relaxed, family charters or day charters. There is also an optional VIP Mercedes Viano land transport and chase boat available at additional daily cost.